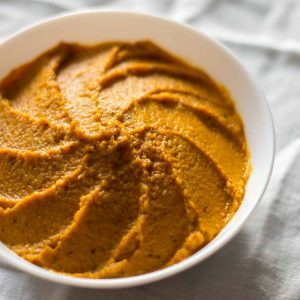 Recipe for Carrot Chutney. 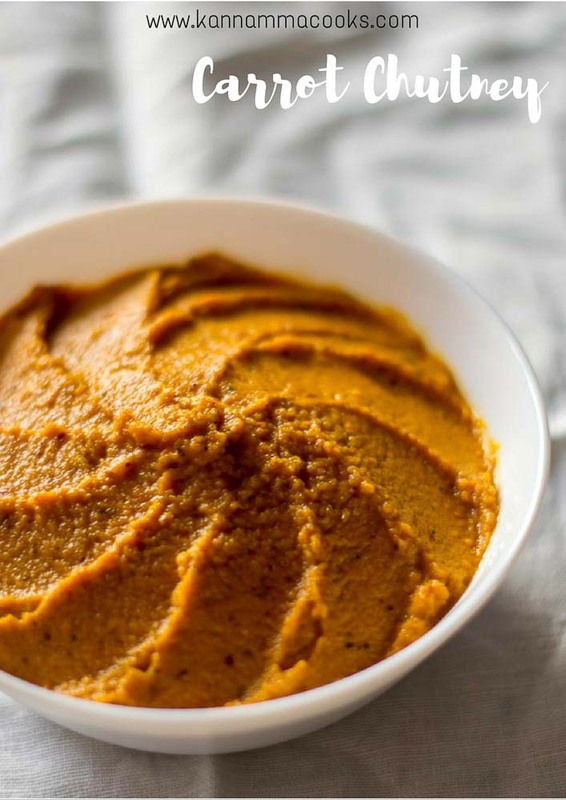 Easy Carrot Chutney that goes perfectly well with idli and dosa. 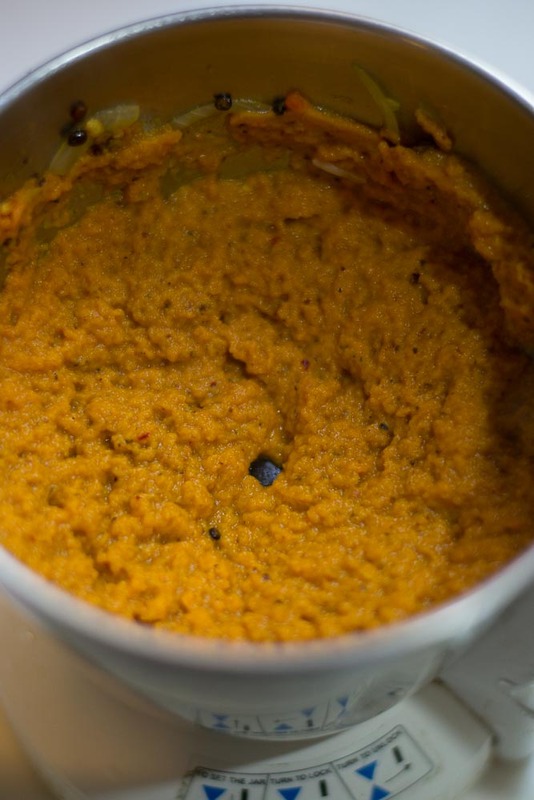 Spicy and tangy carrot chutney. 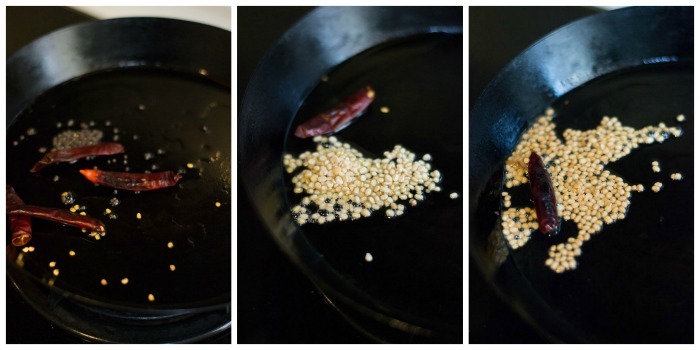 Heat oil in a pan and add in the mustard seeds and dried red chillies. Let the mustard seeds splutter. Add in the urad dal. Let the urad dal slightly brown. Add in the chopped onions, carrots and the salt. Saute for five minutes. Add in the tamarind and the jaggery. Saute briefly for a minute more and remove from heat. Allow the mixture to slightly cool. Grind to a smooth paste in a mixie / food processor adding about half a cup of water while grinding. Tried it tonight for Dosa. It was awesome..very tasty. Can I use panaivellam instead of vellam??? Hi, I made the carrot chutney but added a small green chilli to give it a kick. So yum! Thank you for the recipe! Thank you. Thats a good idea! Thank so much for this easy recipe. It barely takes a few minutes! I made this chutney along with your Vendhaya dosa recipe for breakfast. I was amazed at how yummy & tangy it tasted. I think it would go well with other kinds of dosas too. 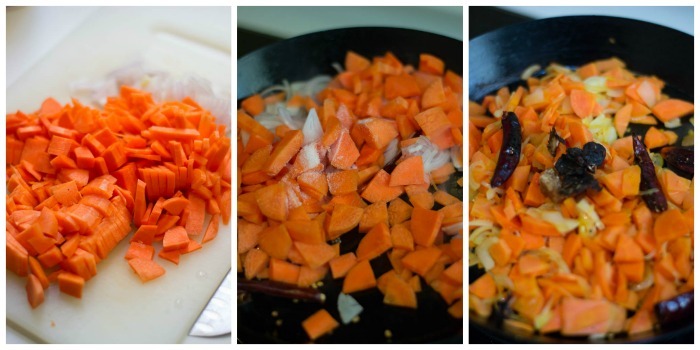 I am from Karnataka & my mother makes carrot pallya in the same way. We use green chillies for the tempering & add freshly grated coconut in the end (and we dont add tamarind pulp). I was surprised to see this recipe & couldn’t imagine grinding it. The result was fab. (slice cheese on one bread & chutney in the other). YUM! My hubby & I enjoyed it. Thanks SO much. I look forward to more recipes from you. Good luck & I wish you a bright future!